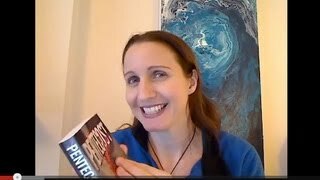 About the video: Last year, Joanna Penn decided to give up on print publishing, but in this video shares with you why I she returned to printing books through print-on-demand and when you should consider using print as a publishing option. “Book groups, fans, family and friends all want a print copy (plus my ego likes it!) Price comparison on Amazon means the ebook looks like a great deal I’m not pursuing traditional publication of the ARKANE series anymore (although I am pursuing a deal with another series through my literary agent), so I now want to exploit all rights. I will also be doing audio this year. The books are “stable” meaning the ebooks have been through a few iterations and rewrites, typo fixing etc. Plus my own fiction platform and brand is now established and I wasn’t clear on that when I first published in Feb 2011. Go ebook first and then do print once your book and brand have ‘settled down’. Give it at least 6 months so you can see whether you are making enough in sales. Use print-on-demand through Createspace.com or LightningSource.com (there are other options). This is when books are printed and shipped to the customer when they are ordered, and you don’t need to buy a huge batch upfront. Printing thousands of books upfront is one of the top mistakes of indie authors. Don’t do it unless you are a speaker or have an existing distribution method. If you are a writer and want to learn more about the ins and outs of self publishing and how to avoid the pitfalls then we highly recommend this step-by-step self publishing course below. It is an amazing feeling holding your first book in your hands. It was for me! Good stuff. Thanks for the post. I agree with Jepst41. It is amazing to hold your book in your hands. I’ve had two. I really like the idea that you are using your ebook edition as a beta test. It does really give you time to get the kinks worked out in the book before you commit the resources to print. Great tip! Thank you for explaining about your reasons for going ebook first, your video has been a great help. 🙂 – I love the look of the course as well. Thanks for the great information. I’m in the process of editing my second novel and will be self-publishing for the first time. I will be using Createspace. I’m a bit nervous, but I’m going to do it anyway. Learnt so much. I personally prefer print books, but since I am looking to publish my first book and do not have working capital to put into print, I see ebooks as my only option at the moment. I absolutely love walking into a room full of bookshelves, love the heft of a good book in my hand, and don’t see the appeal of ereaders, but one can’t deny their popularity and space-saving ability. I hope to find my own audience this way! about the publish my first ebook. The idea of the higher priced print book was a very good point. Thank you for the insight, I am a new Author always looking to new things and advice, you did a great video, I think that we should always print books with of course the other formats being the top ones, thanks again, have a great week, best wishes for the future. Steven King got rejected numerous times before he was published and became famous. Sometimes, you have to do things yourself to get your writing seen. This was extremely enlightening, just about to publish my first children’s adventure novel and POD sounds the way to go. I am not sure how many kids have kindles etc. Print is GFG (good for grandparents) who are seriously into encouraging children to read. Best wishes and thank you. Do you use your own ISBNs? Can you use your own ISBN with BookBaby? Glowing reviews, I quite look forwards to reading your work. I think I might fall in love if I watch a few more of your videos 🙂 I stumbled upon this, as once I can find a way to get my arse into gear and write more often I wish to self publish. I have little faith that the bigger publishing houses would look at me as my latest project is low fantasy. I must be old fashioned. I still want my books printed upfront. I am just about to print a short run of hardbacks and a few hundred paperbacks. Then I will put it on Kindle. Print over E-Books any day of the week. The written word, bound into a book is the height of our ability to create lasting works. digital made that easier, but every attempt to make a digital only medium has ultimately been less successful than the good old fashion book.